In her final quarter as a high school senior, Editor-in-Chief Katie Pierce talks about stories and other events that have taught her valuable lessons for life. My first international plane ride was horrible. I was smushed practically against the window in my seat by an unfriendly little old lady next to me, curled up into a ball sleeping away while I sat wide-eyed in my seat in the dark, wondering what it would be like to see another country. I couldn’t wait to get out of that box of a plane. Thankfully, things looked way up after that. 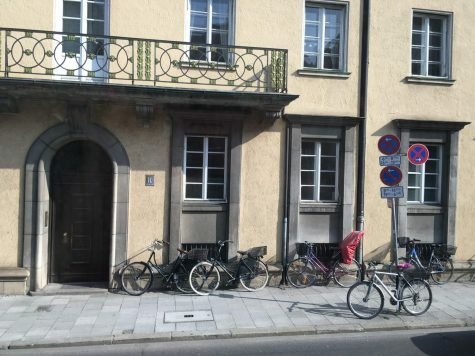 When I stepped outside on Sunday afternoon into Munich, I didn’t really have any idea how I was going to feel about Europe. When I returned to Chicago the following Sunday afternoon, I began to try and put my thoughts together. It felt like I’d spent a month in another world. I decided to sum up my trip as being “everything.” I found so much joy, yet some sadness, nostalgia (for what, it’s hard to place my finger on) and even a sense of community. Above everything else, I found myself proud to be an American. When I shared this thought with a few of my colleagues that went on the trip as well, they thought I was crazy. How could I be proud of our country when I was in a place with enormous mountains instead of brown grass? How could I be proud of our country when I was in a country with better health care and a saner government? How could I proud of our country when I was in a country where Mozart was born, where Beethoven lived, and where music was born for many other parts of the world? When they asked me these questions, I wasn’t really prepared to answer them. It’s a great argument, and I definitely see their point. I miss the mountains and the German, even the schnitzel. Furthermore, I’ve never personally been a patriotic person. I often look at the negative aspects of our country, from the politics to the violence, and I must say I’ve really not been very proud. But Europe got me thinking–how often do we take Chicago for granted? How can we possibly take our gorgeous city, with its legendary river, successful sports teams, and historical landmarks, for granted? We do. Every day. Seeing the mountains outside my window in Austria almost brought tears to my eyes with a sense of wonder at how beautiful and calm they are. But if I lived there for my entire life, how special would they really be? I thought about Chicago, and even our local beaches in that moment, knowing that people who had never seen them before would probably find themselves with the same feeling of wonder. 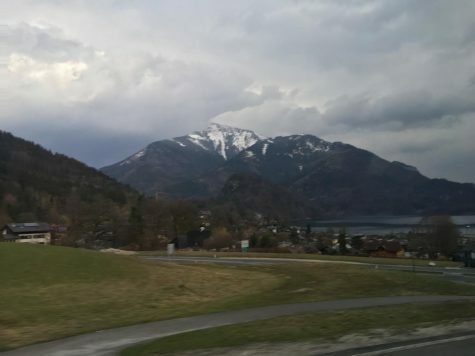 My view of the mountains in Austria. Hearing people speak German made me think about our own language, English, which for us is normal and often taken for granted. I’m sure some people in Europe who heard us speaking English thought our language was just as complicated as we thought their language was. Maybe some even thought it was pretty, like how I heard German. Even after a waiter in Vienna made fun of my friend for ordering ketchup, I realized how our different foods that we take for granted can be just as special as those that we find special in other countries, just to other people who aren’t like us. After all, who does hot dogs better than the United States of America? The music aspect of this entire realization brought a different dimension to my appreciation for my culture and who I am. 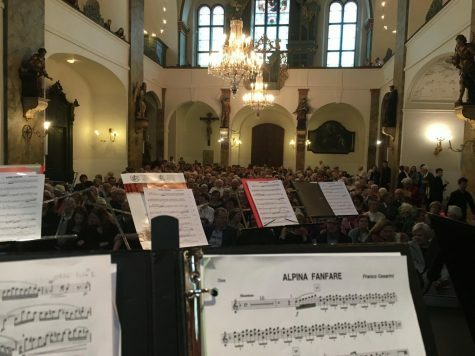 We played three concerts in three cities over the course of a week, but my favorite by far was our concert in Prague, with an audience of about 450 people. That’s more people than we usually get at a band concert back here in the States. 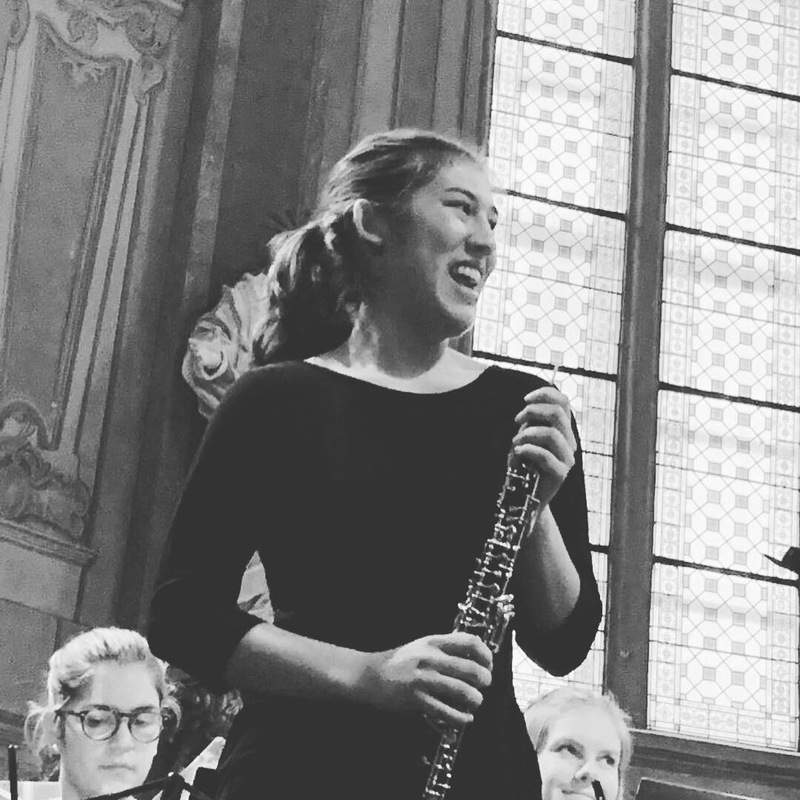 During my solo, Morricone’s Gabriel’s Oboe, time kind of stopped. I didn’t know a single word of Czech, and I’m sure many audience members didn’t know a word of English. Yet, I knew as I played that they understood me. It’s been told to us that music crosses defined lines. I felt it become true at that moment where my sound rang through a church–a church with the same religion as my family even though they were 4,000 miles away from me–to an audience of people whom I’d never met and probably will never see again. They understood me. They applauded, not just for me, but for our entire ensemble. Our view of the crowd at our Prague performance (450 people). We were told the church had to turn people away from the performance because there were no more available seats. We didn’t realize it, but we represented American culture and American music through every concert we played and every move we made in Europe. Yes, we’re really into the Sound of Music, even though many people in Austria probably had no idea what we were talking about. Yes, we like eating ketchup with our fries and cutting our sandwiches in half. We say “thank you” instead of “danke schön.” But what if that makes us just as special as the people who we find to be special in their own right? We’re American. We play the music so it lives on, we spread the culture and the beauty of the world with other so they can have a more open mind. Those of us privileged enough to be able to travel, we come back with a broadened worldview, and a kinder personality. We’re American. I’m grateful to Austria and Czech Republic for helping me be proud of my country again. We’re American. We may not be pretty at all times, but who is? We don’t have the Alps here in Chicagoland, but we have our own history and our own beauty. Can we truly see it?